Yay! It's grilling season again! 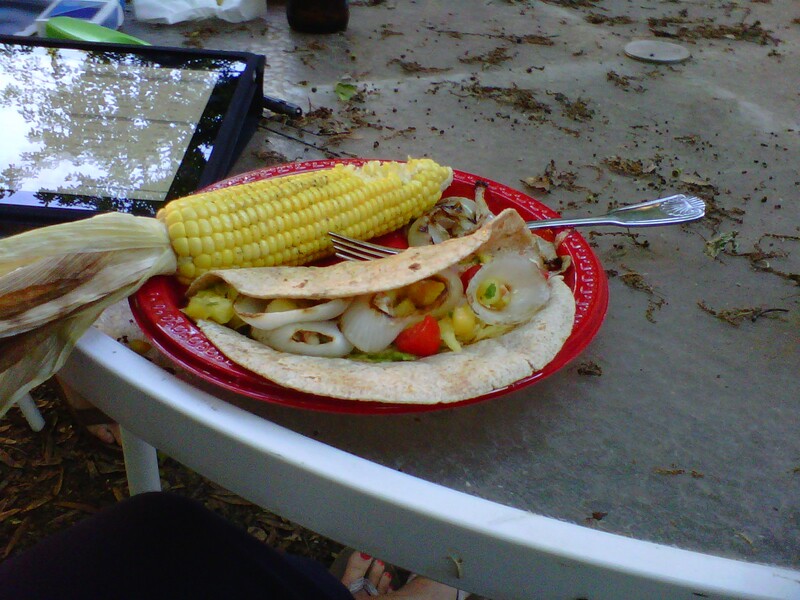 I celebrated on Saturday with some fish tacos, accessorized with mango/pineapple salsa, guacamole, grilled onions, and diced tomatoes. On the side: Corn grilled in the husk. Corn is the best food ever. *Enjoyed with tunes from my iPad on the world's dirtiest table.